So far, my favorite book I've read this year is Into the Wild by Jon Krakauer. 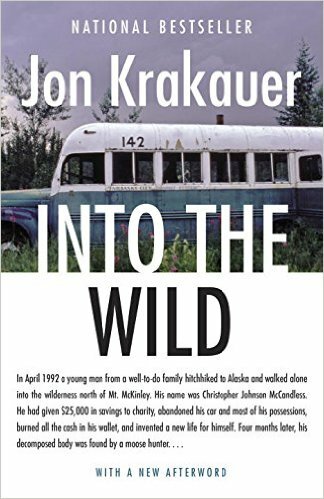 Jon Krakauer constructs a clarifying prism through which he reassembles the disquieting facts of McCandless's short life. Admitting an interest that borders on obsession, he searches for the clues to the dries and desires that propelled McCandless. Digging deeply, he takes an inherently compelling mystery and unravels the larger riddles it holds: the profound pull of the American wilderness on our imagination; the allure of high-risk activities to young men of a certain cast of mind; the complex, charged bond between fathers and sons. 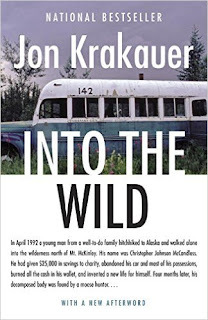 Krakauer's telling of McCandless's story is AMAZING. I've heard some people say that the movie depressed them, but in the book, you know up front that Christopher McCandless is on a doomed mission. I found his story frustrating and inspiring, though I am not one of those who now feels a need to make a pilgrimage to the bus where he died. The story is haunting and sticks with you long after reading it. Though there are some purple-prose moments in the book (one passage in particular is just incredibly overdone! ), it is very well written. 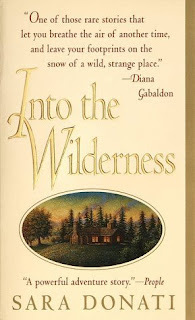 I've found that with the craziness of the current United States political climate, I am turning to nonfiction, and nature writing in particular, more and more. It allows for a great escape into a world that is more than Trump could ever hope to be. Ugh. I knew he was vile, but it gets worse and worse as the days go by. 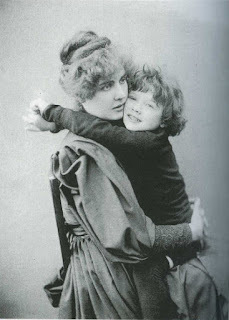 The Railway Children by E. Nesbit -- A charming older children's story. I really enjoyed this one. Crooked House by Agatha Christie -- My third Agatha Christie this year. It was a fun, light read. The Thin Man by Dashiell Hammett -- A short mystery/suspense novel from the 1930s. I felt drunk after reading it. If you ever decide to crack it open, you will understand that comment. The Body in the Library by Agatha Christie -- This is a Miss Marple mystery. I enjoyed it, but not as much as the stand-alone novels I have read by her. And Then There Were None by Agatha Christie -- A classic Agatha Christie. It was a fun and quick read, but I was super conscious of the racism. I know these are old novels, but it is still jarring to see it on the page. You Can't Touch My Hair by Jessica Williams -- White people need to read this book. Comedian Jessica Williams tackles a lot of racial issues and brings lots of perspective. Universal Harvester bu John Darnielle -- This book was on so many lists that I felt I needed to check it out. The premise is intriguing, but I was disappointed. 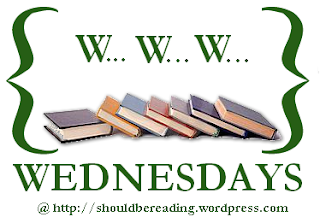 Accidentally on Purpose by Jill Shalvis -- Another great contemporary romance by Jill Shalvis! Mr. Wilson's Cabinet of Wonder by Lawrence Weschler -- This is a fun book filled with history and some quirky folks. A very short read. Difficult Women by Roxane Gay -- I love Roxane Gay. This is a collection of short stories by the author of Bad Feminist. The stories are powerful. Wind/Pinball by Haruki Murakami -- I plan to read all of Murakami, because I do think he is my absolute favorite living writer. This book contains his first two novels, which are the first of the Trilogy of the Rat. I loved Wind (which is short for Hear the Wind Sing). I wasn't as much of a fan of Pinball. Still these novels had been out of print for so long, and it was fun to read them. Lily and the Duke by Helen Hardt -- This was a a quick historical romance. After Dark by Haruki Murakami -- This is a great shorter novel by Haruki Murakami. If you are new to Murakami, I would suggest this book as a great place to start. The Bazaar of Bad Dreams by Stephen King -- This is the first of King's short story collection that I have read. I enjoyed many of them, and I want to read another collection. My Horizontal Life by Chelsea Handler -- Not the best of Chelsea's books, but it was her first. If you don't like raunchy comedy, stay away.